Guernsey boss Jordan Reynolds says the side's off-field set-up is "brilliant" as the club bloods new coaches. 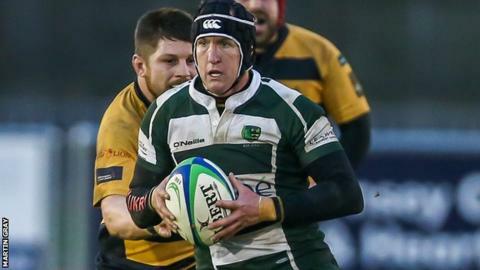 Reynolds has appointed senior players Malcolm Barnes, Simon Sharrott and Nick Barton to coaching roles as the side prepares for the new season. "Our infrastructure is brilliant," Reynolds told BBC Radio Guernsey. "It'll be the first time that we've had more than one coach, so that takes a lot of responsibility off me," added head coach Reynolds. Scrum-half Barnes is taking responsibility for the side's defence, number eight Barton will work on set-pieces while Sharrott is scrum coach. "These guys are great players," said Reynolds, who as well as being head coach will also oversee the club's attack. "Nick Barton knows a lot more about certain parts of the game than I ever would and so does Simon Sharrott, so to have their input makes a big plus for us." Last season Guernsey suffered numerous injuries and were bottom of National Three London in February, before a revival saw them win seven of their last nine games to stay up. "You've always got to try something new and see if you can develop it," said Reynolds. "We'll probably be up in the top four best-prepared sides as we've kept most of our squad. "I think we played extremely well in the last nine or 10 games in the league last year and showed that we were a side that can battle at the top of the division. "I think our attitude is OK, we've just got to build some confidence over the next few weeks."